Paper Cores that are light and modern, if yes; then you have landed at the rightmost place. We bring to you paper cores that are filled with newest designs and all the inputs that make them superior all over other brands. Use of nicest raw material accessible makes our paper cores appropriate for any kind of usability. 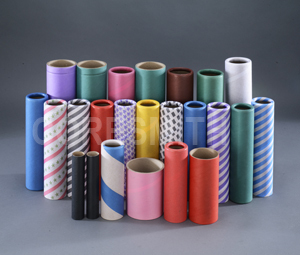 We provide wide range of paper cores to suit different applications. High strength cores for newsprint, paper & board industry. Yarn carriers for winding textures & filament yarn. Cores for carpet yarn, coir mat, denim and jute winding & self-adhesive tapes and flexible film winding. Packing submersible pumps & a host of engineering goods. Cores with polished surface for polyester film and audio tapes are our specialty. Specification of paper cores are Maximum & Minimum inner Dia of Core 450mm, 50 mm. Maximum lengths is 3000mm and Maximum wall thickness 18mm.